EarthSafe's SureTrak is the ideal ground protection and temporary access mat, bearing loads up to 175,000 lbs*. 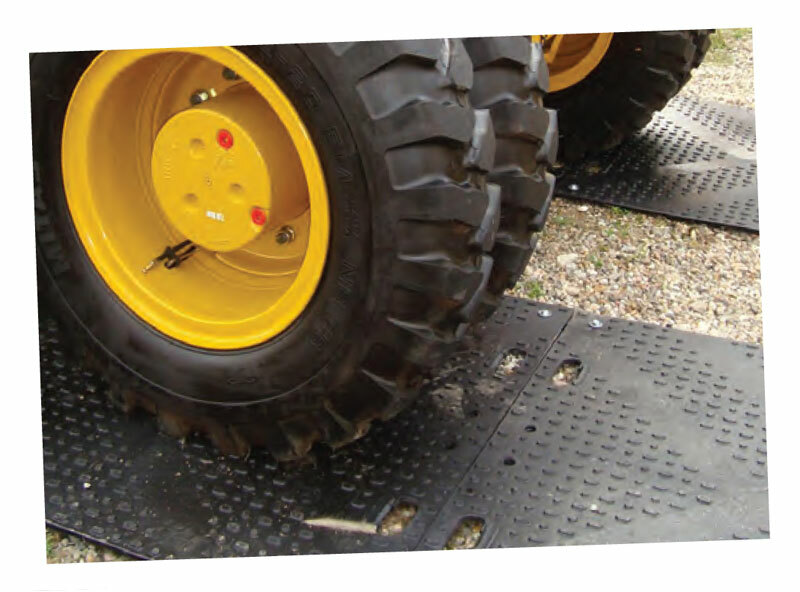 SureTrak heavy-duty access mats are designed for moving and operating equipment over soft or sensitive ground. 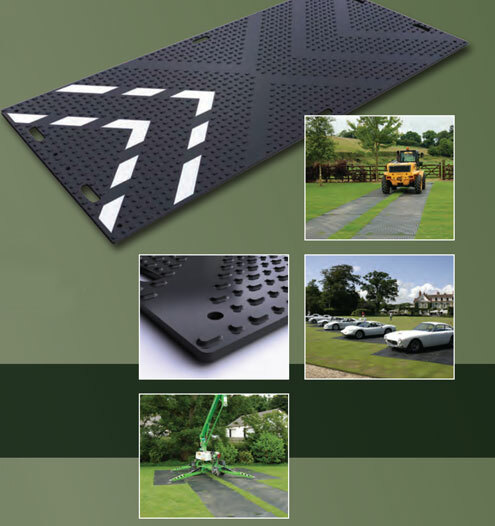 SureTrak offers mats that provide non-slip access for vehicles, construction equipment, and pedestrians. SureTrak mats protect the environment and offer safe passage during a variety of construction projects. SureTrak mats are designed to handle all types of equipment, including excavators, trucks, cranes, and drilling rigs. The .5" thick, high-density polyethylene mats are amazingly tough and flexible, yet weigh only 79 lbs and can be easily maneuvered by two people. 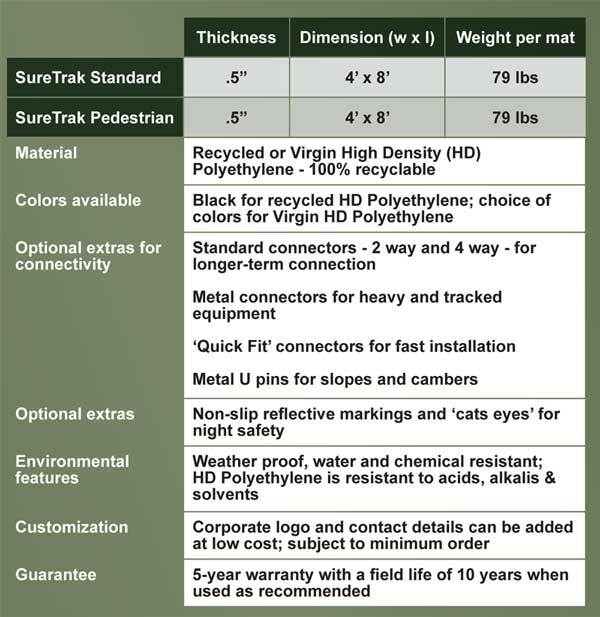 SureTrak mats offer various connection options, depending on the length and scope of a project, the terrain, and the equipment used. An EarthSafe representative can discuss the different sizes and strengths available and offer the best solution for any job. 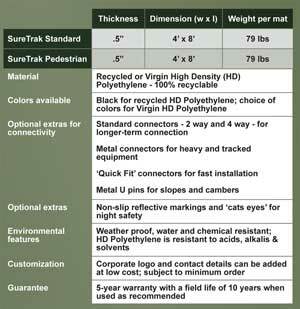 In addition, SureTrak mats are offered in a variety of colors and may be customized with a corporate logo and contact information. Call 1-866-922-MATS (6287) for full details. EarthSafe from New South.